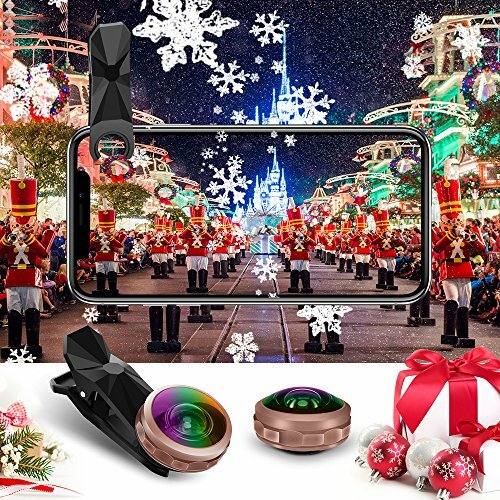 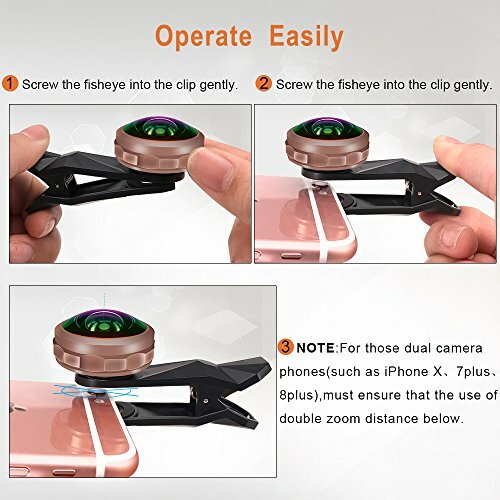 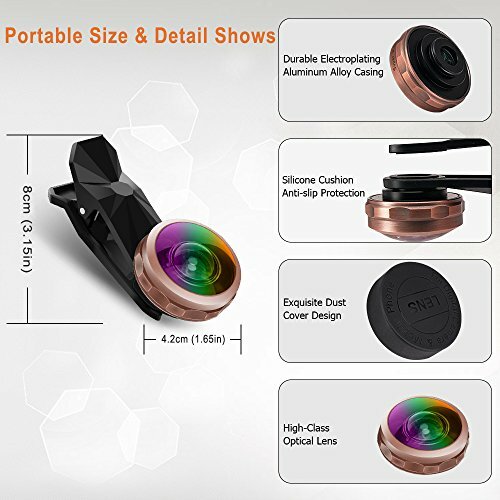 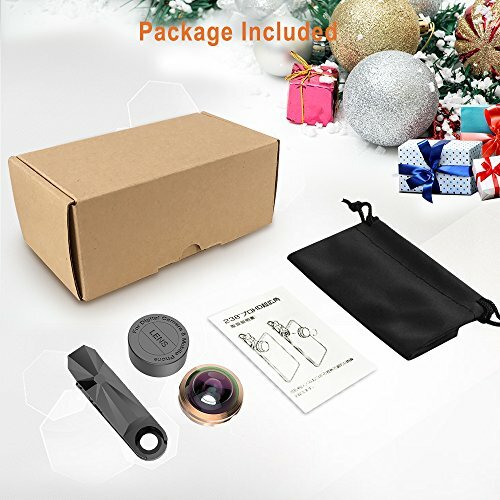 Buy Fisheye Lens Wide Angle BENGOO Phone lens Universal 238 Degrees Clip on Cell Phones Camera Lens Kit for iPhone X/8/8 Plus Samsung S6/Galaxy S8/S8 Plus//EdgeS6 iPad iPod Android IOS and More – Black at Discounted Prices ✓ FREE DELIVERY possible on eligible purchases. 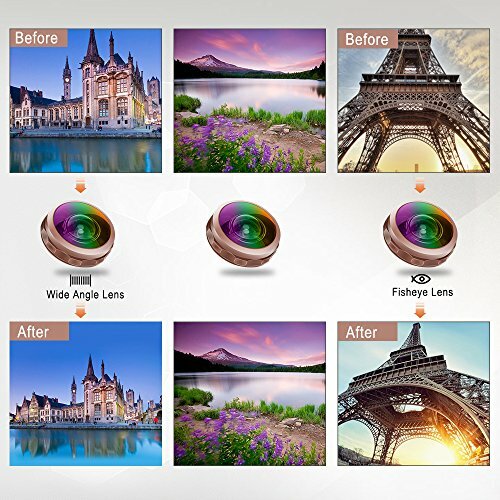 【Wide Angle Lens】- 238 DEGREES LENS perfect for capture approximately 238 degrees field-of-views and produce distorted images. 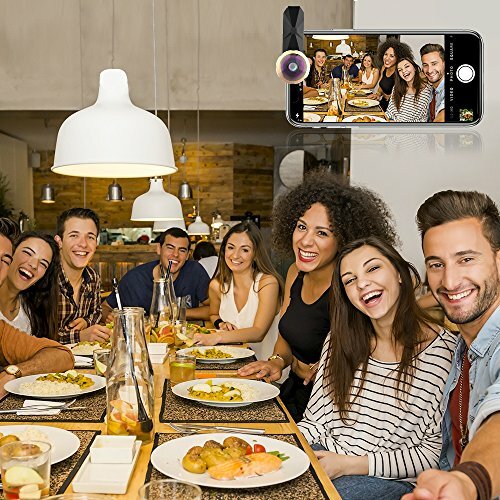 Great for when you need extra field of view, approximately double that of the normal mobile phone.It can help largely expand the field of view and enable you capture the entire family or a whole team member into one picture.Wide angle lenses capture wider field of view. 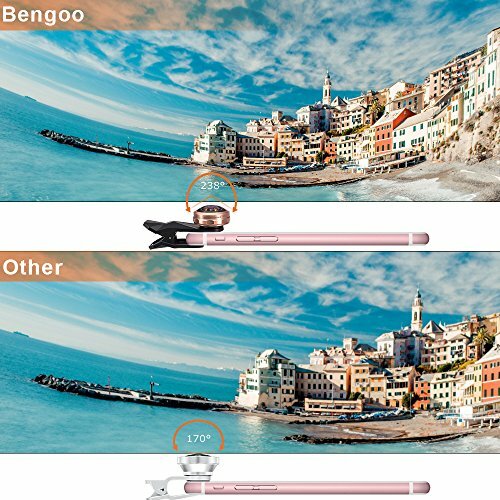 【Prectsion Glass Optics】 - Made of high-class glass, professional HD lens reduces glass flare & ghosting caused by reflections.Adopt precision ground glass muti-element optics for the lens. 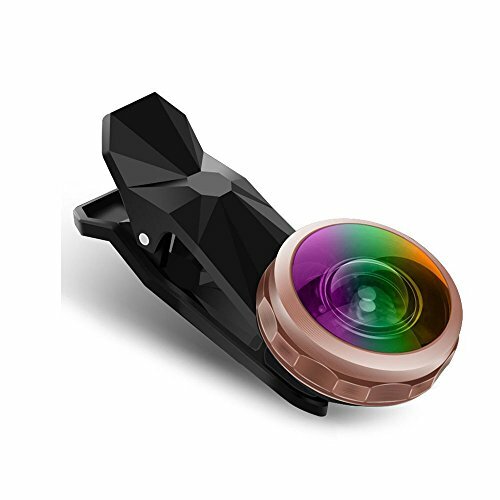 【Universal Lens Clip Design】- Portable detachable and universal lens clip design make it easy and secure to use. 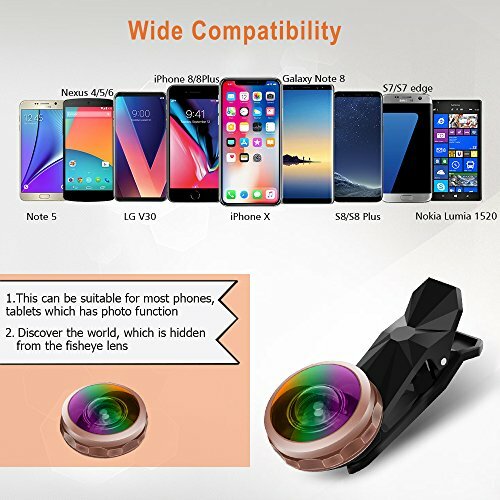 Its high quality soft plastic can guard against bumps and scratches on your phones.This cell phone lens with rotated rubber pad, which exactly fit for your phone's angle, more stable, No More Slip!